Magnolia stellata 'Royal Star' is popular for it's large star-shaped flowers which cover the bare stems of this plant in early Spring. Slightly fragrant, often with a hint of pink in the buds that slowly mature to white and usually flower before the new leaf growth has started. The glossy, green foliage also takes on copper-bronze tints during the Summer. Magnolia 'Royal Star' is highly ornamental and will look absolutely fabulous in your garden or in a container. 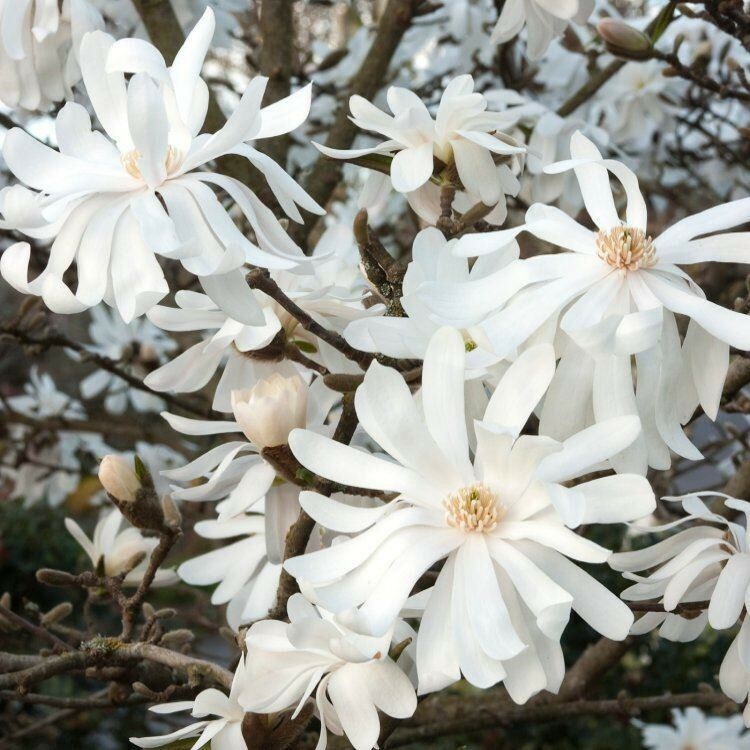 Unlike regular varieties of Magnolia stellata, the blooms of Royal Star are really full with extra petals, giving a larger bloomed, double flowered effect - really something special. Fully hardy and easy to grow, our trees are supplied in approx 3 litre containers as super bushy plants ready to grow away and bloom in your garden for years to come.